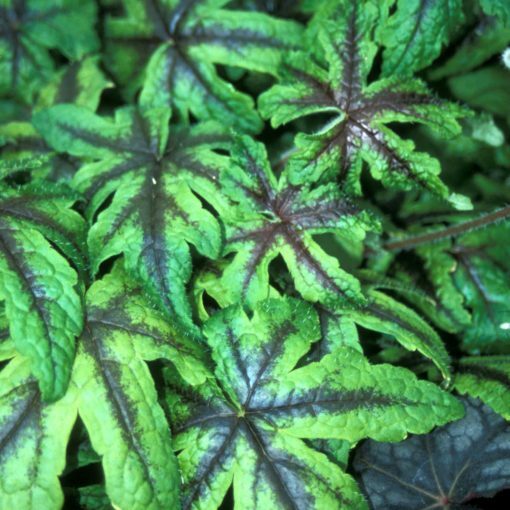 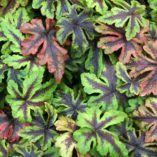 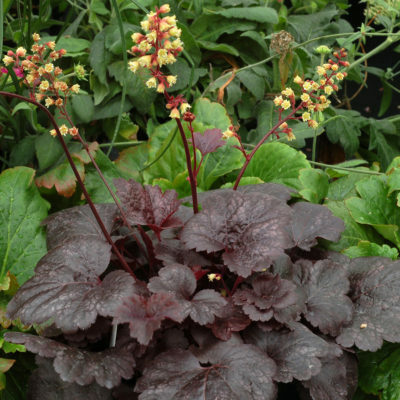 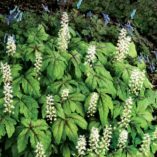 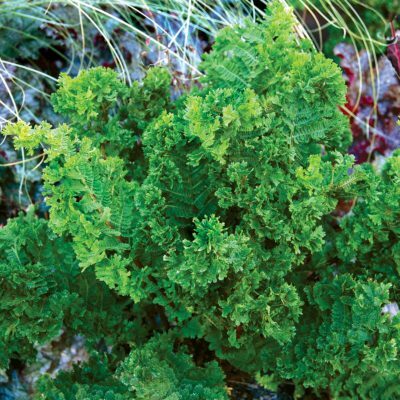 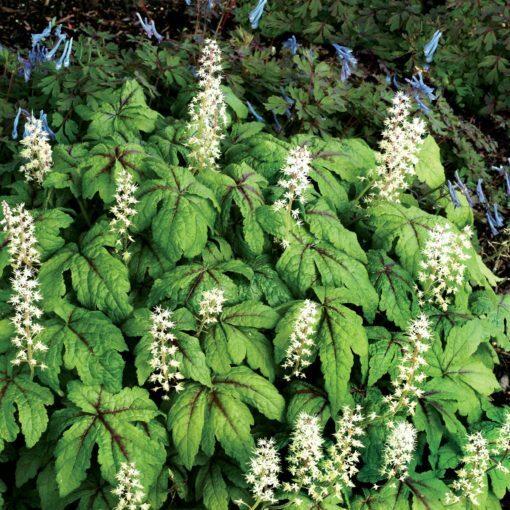 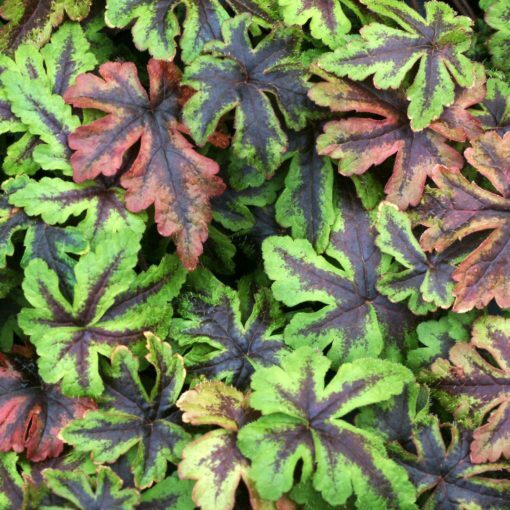 Tiarella ‘Jeepers Creepers’ | TERRA NOVA® Nurseries, Inc. 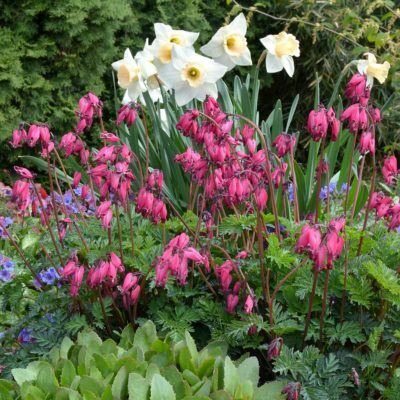 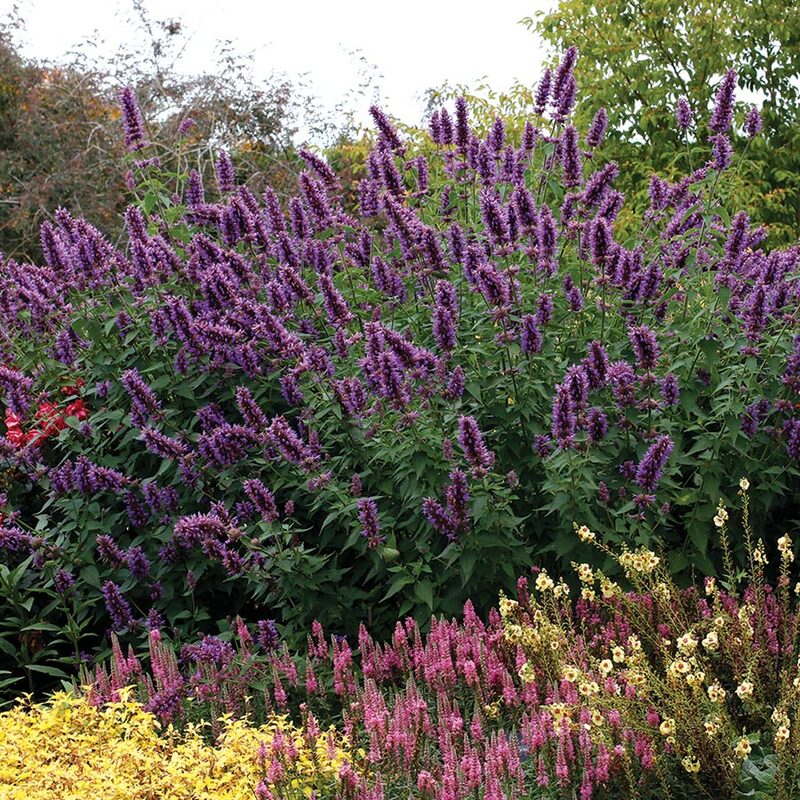 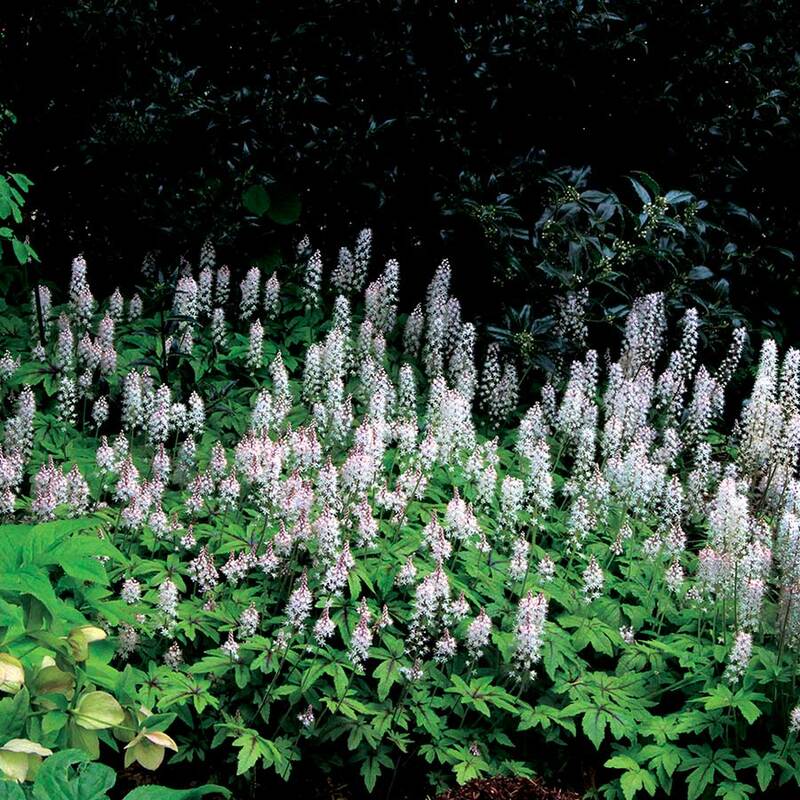 Bold, well-marked foliage, a creeping (not running) habit and large white flowers. If you don't want your trailing Tiarella to run too far this one is for you. 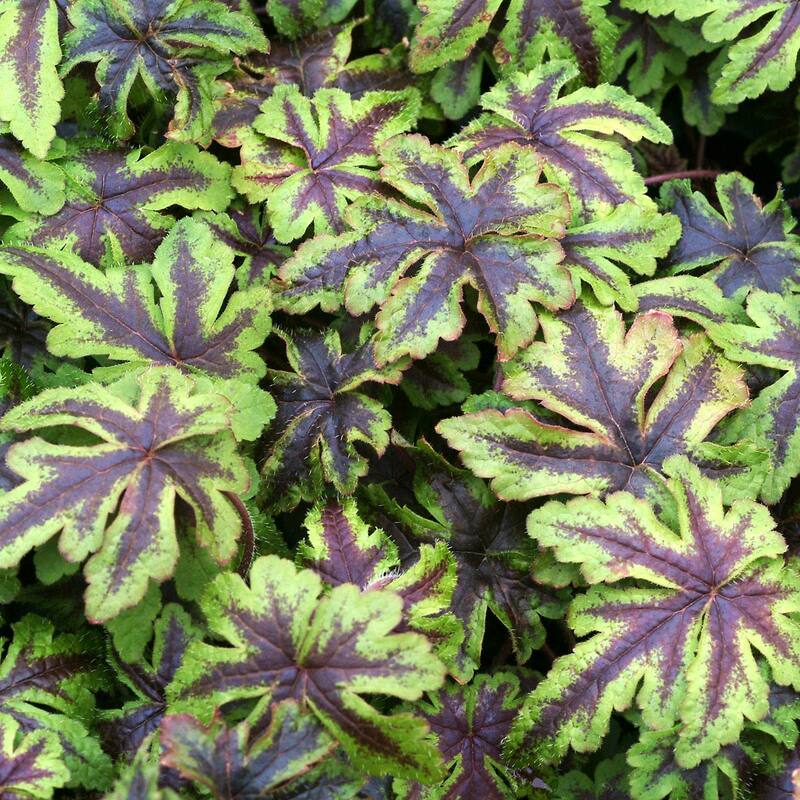 It keeps some green all winter in Oregon rather than getting dark for excellent winter interest. 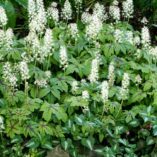 Excellent vigor. 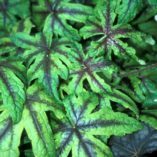 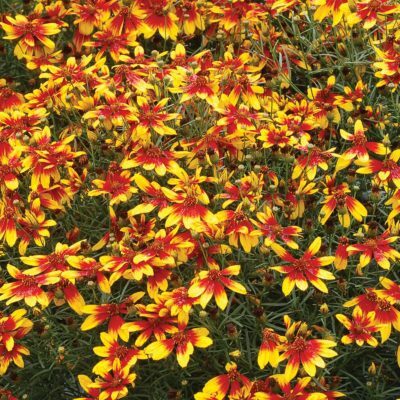 7" / 24" / 12"
It has distinctive leaves and a slow creeping habit. 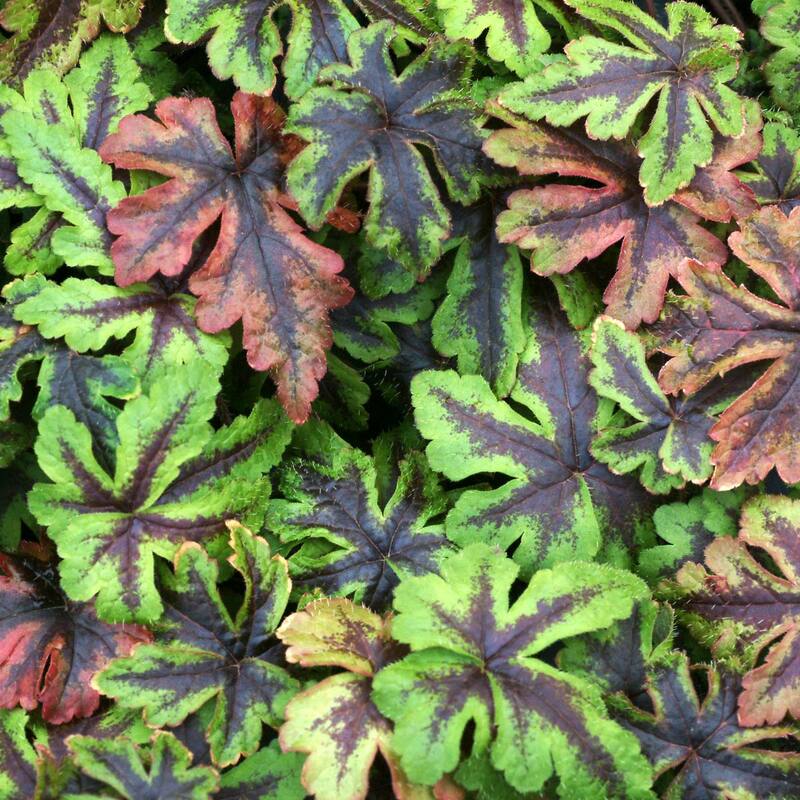 It forms a mat that stays green with dark markings all winter in Oregon.